The unique rose formula created with a white rose, enriched with arctic berry extract and botanical collagen prevents premature skin aging, actively nourishes and intensively moisturizes it. Vegetable oils and extracts saturate the skin with essential vitamins and amino acids. 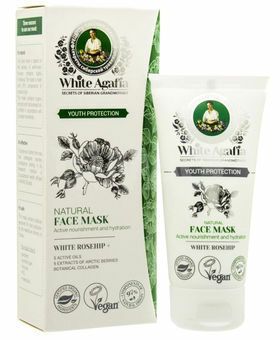 The "white" line of cosmetics stands out with a completely safe formula - up to 95% natural and certified ingredients, and all oils and essential oils are extracted from organic crops.